Artists of the 21st century. 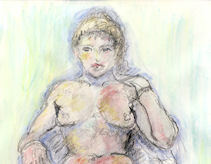 From Balthasar Balthus and Martial Raysse to Eric Fischl, Edith Vonnegut and Jenny Saville. To complete this directory I need your help. Do you have an addition please e-mail me.